Brandon is a Magento Certified Solutions Specialist and has over a decade of experience in management and sales at Fortune 50 technology companies including experience in B2B, retail management, operations, and customer experience management. He has also worked with several startups and small businesses providing consulting, eCommerce management, graphic design, creative direction, and web administration. 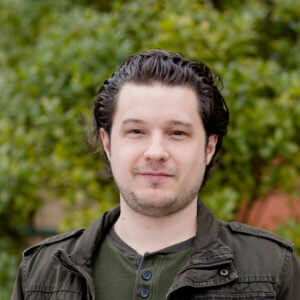 Brandon’s broad range of technology consulting and management experience brings a unique and holistic mindset to architecting eCommerce solutions for his clients and helping them solve complex business problems. In his free time, Brandon builds and works on analog audio circuitry. Writing and playing music, building audio electronics, graphic design, business and entrepreneurship, cooking, enjoying the outdoors with my family, studying God’s Word and the Hebrew language.